Bryden House is an independent nursing and residential care home in Kidderminster. Our aim is to offer the very best nursing and residential care for the elderly. 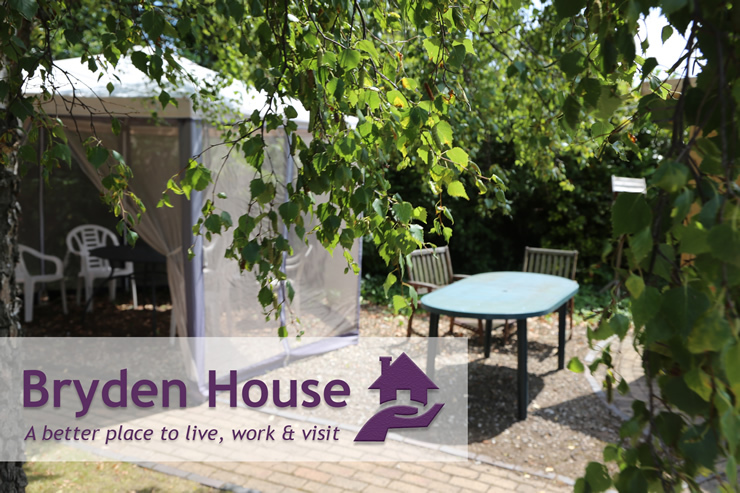 We provide an environment with a homely atmosphere that can be enjoyed by residents, families and friends. You may be arriving for a short stay or making a permanent move, but either way we do hope you will be happy here. The team promise to do their very best to help you in any way they can to make your stay with us as comfortable as possible. We hope our website will give you the opportunity to understand a little about how the home is run and other information which we hope will be of help to you. We positively encourage feedback from our staff, residents and their visitors to constantly improve our quality of service. We pride ourselves on offering residents' choice in all aspects of their care, in a warm and caring environment, where residents are treated with dignity and respect at all times. Privacy, respect and freedom of choice are paramount in our home. Staff are selected for their caring and compassionate nature, in the knowledge that each of them plays a crucial role in your welfare. Our staff's opinions are listened to and encouraged through regular meetings, appraisals and training to ensure that we have a motivated team sharing in our common goals. Should you wish to discuss any aspect of your care please speak to any member of staff and they will refer you to the relevant member of the management team to assist. The management and staff at Bryden House would like to extend a warm welcome to all our residents and visitors and we hope that you will enjoy your time with us. If you would like any further information, please contact us and we will be happy to oblige.